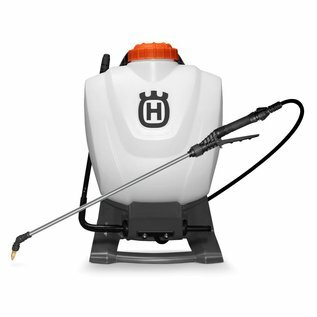 Husqvarna’s 4-gallon backpack sprayer is ready for your commercial or residential spraying work. An internal pump design eliminates leaks while offering easy access for quick repairs— replace seals in minutes with no tools required! Pump handle can be stored vertically or horizontally. A deluxe comfort harness lets you work longer with less stress. 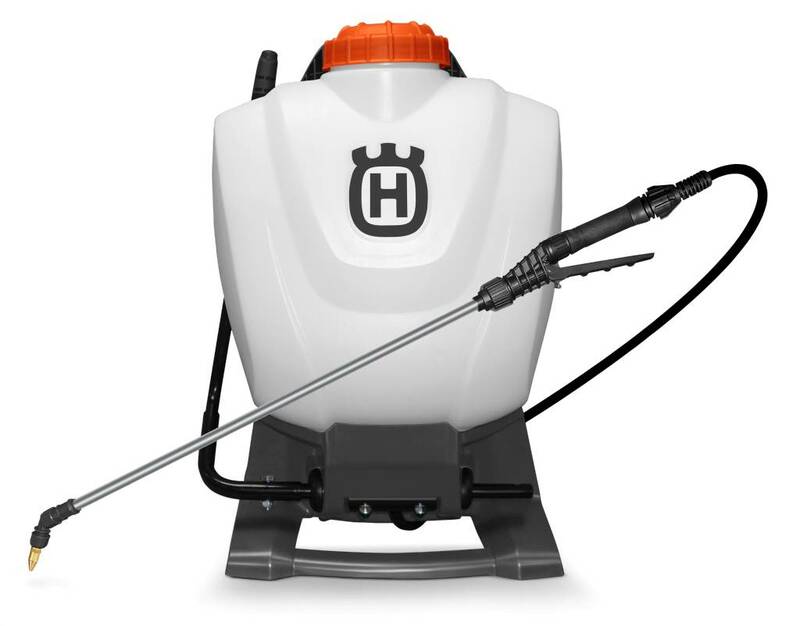 50” reinforced PVC hose (with professional shut-off valve) resists kinking and 25” stainless steel wand (with poly liner) offers unmatched durability. Compatible with both wettable powders and liquids. 150 max PSI sprayer with a 25 PSI pressure regulator. Comes with 3-nozzle kit.